Can I get heated seats? Do I have to get a sunroof? 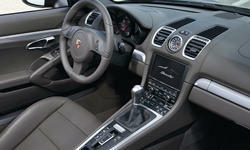 Find out what you need to know about Porsche features right here. Wind blocker, smallRemovable or foldable barrier extends upward behind the front seatbacks, preventing cold air from entering the front seat area. Removable or foldable barrier extends upward behind the front seatbacks, preventing cold air from entering the front seat area. Retractable rear spoilerSpoiler extends automatically at high speeds. Otherwise flush with body. Can be manually extended and retracted. Spoiler extends automatically at high speeds. Otherwise flush with body. Can be manually extended and retracted. ChronometerStopwatch, lap timer. Usually includes an analog clock. Stopwatch, lap timer. Usually includes an analog clock. Electronically-variable engine mounts (performance-oriented)Can vary engine mount stiffness to maximize performance or comfort. Can vary engine mount stiffness to maximize performance or comfort. Mid-engine configurationThe engine is located behind the driver but ahead of the rear axle. The engine is located behind the driver but ahead of the rear axle. Racing seatsSingle-piece aggressively bolstered seats. Cannot recline. Often lightweight. Single-piece aggressively bolstered seats. Cannot recline. Often lightweight. Two-tone upholstery (optional)Only listed if not standard on all trims. No value because no way to compare across models. 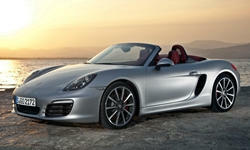 None of our members have yet commented on the available features of the 2016 Porsche .